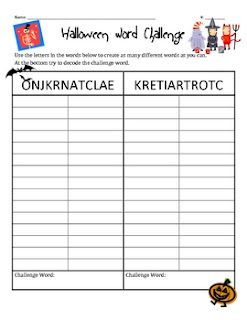 Use this fun Halloween Word Challenge to engage your students in working with sounds and words. Students will use the scrambled letters from two common Halloween words to create as many other words as they can. The second goal is to decode the scrambled letters to figure out the challenge words.